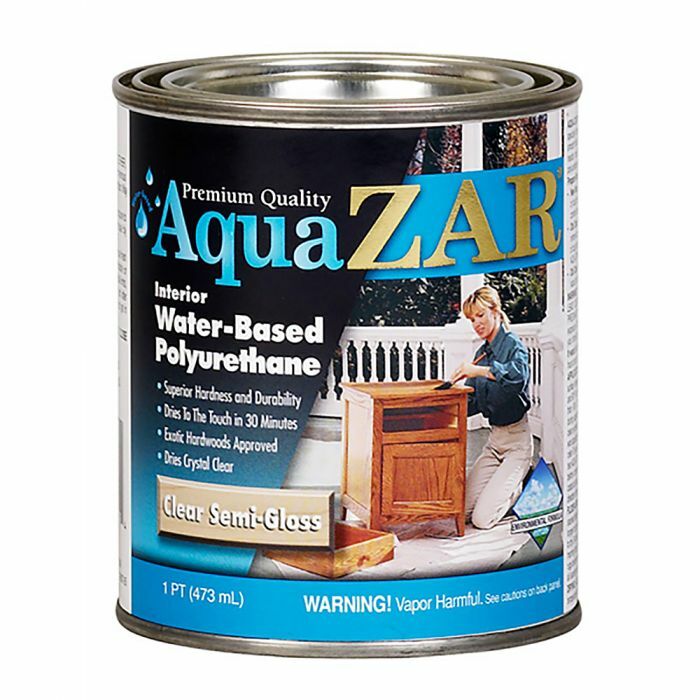 ZAR® Ultra Max polyurethane is a clear wood finish that boasts superior hardness, mar resistance and durability. Specially formulated to beautify and protect floors, cabinets and furniture, its ''Dual-Drying Technology'' cures by coalescing and oxygen cross-linking to produce a harder coating throughout. It is fast-drying, has very little odor, is environmentally safe, and self-levels for a smooth finish free of brush marks. With its natural amber color, it greatly enhances wood tones. Thanks to its excellent adhesion, it is especially well suited for exotic hardwoods such as teak, Brazilian walnut and others. Do not apply over finishes containing stearates or aluminum oxide. Do not use steel wool.